ScenicNZ is one of the South Island’s leading bus companies; New Zealand-owned and specialising in supplying high-quality transport to the tour market. The company operates one of the country’s leading national touring fleets and has depots based in both Christchurch and Queenstown. The South Island is the perfect holiday destination for adventure seekers, nature lovers and constant cruisers with plenty to see and do along the way. Getting here has been made easy with the choice of two international airports – Christchurch and Queenstown. Every region of the South Island provides its own, spectacular sights and fun-filled activities specific to the area. Getting around is where we come in. Single airport transfers, day trips, private group experiences, custom tours, city-to-city transfers and multi-day South-Island tours… we have all of the bases covered. We love showcasing the very best of what the south island of New Zealand has to offer with a wide range of touring and transport experiences to suit every occasion whether it is a day trip, a weekend getaway, or once-in-a-lifetime holiday. 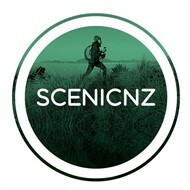 ScenicNZ Limousines is an established niche sector of ScenicNZ aimed at providing small-group, personalised tours and transport services to luxurious travellers. We pride ourselves on our impressive fleet, our skilled team of Driver Guides and a reputation for providing professional, top quality service, every time. ScenicNZ Limousines’ core business ethos is to provide safe, affordable and reliable luxury tours and transport that exceed customer expectations. We are constantly striving to deliver exceptional and memorable experiences that will be remembered by our clients for a lifetime. We are very proud and appreciative of our unique, pristine setting in New Zealand and love hosting visitors and sharing it with the rest of the world. But we also know that in order to maintain its beauty for future generations, our actions and decisions that we make now, will in turn affect the environment in the long term. And as a direct consequence, we base a lot of our business decisions on how we can support the environment and implement sustainable business practises.